It doesn’t feel like it was that long again that the growing team behind Kodi released version 16 (and 16.1) as a final build to the public, but here we are already being offered the initial public beta of version 17. 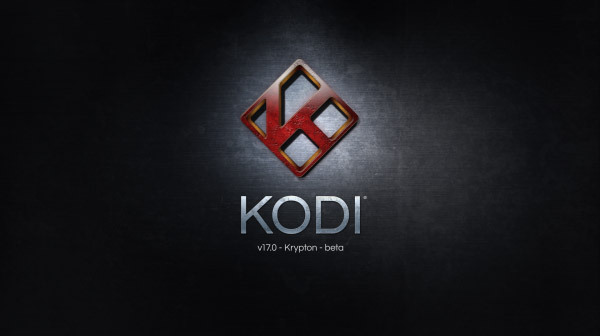 After months of testing Kodi 17 Alpha versions, the team has now officially announced that Kodi 17 Krypton beta 1 is available to download and interact with, which in turn means that all of the hard work that’s brought the team to this stage is about to get more broader adoption. Codename Krypton, version 17 of Kodi represents the finalization of a ton of work completed across multiple areas of the popular media player software. The team involved in the project has visited areas like video playback, live TV, and PVR/DVR, the music library, and skinning to make sweeping wholesale changes and improvements that should definitely shine through to any hardened Kodi users who downloads and interacts with Krypton. Krypton also features a brand new default skin that forms the aesthetic of the software, as well as a new touchscreen-friendly skin that can be used, named Estuary and Estouchy respectively. For those who have been keeping abreast of the new Krypton version, and the Alpha builds that have been offered by the Kodi team, beta 1 brings relatively simple minor bug fixes and under-the-hood improvements to try and stabilize the platform for major public consumption. That of course means that the team has taken the more notable features and inclusions that are unique to version 17, and tried to ensure that they are stable to use, and that they work as flawlessly as possible for the increased user-base that will inevitably develop now that Krypton is officially in beta. As for those changes, version 17 also includes a dramatically improved music library experience that tries to catch up with the improvements made to other aspects of the software over the last few years. There’s also a cleaner, clearer settings section, live TV and PVR/DVR improvements with changes to how channels are organized, as well as an almost total rewrite of the video player experience that sees Kodi move from using the old DVDPlayer to the new VideoPlayer integrated in version 17. Anyone interested in version 17 beta 1 of Kodi can grab it from kodi.tv/download. Krypton is the bomb. Can’t wait to get 3rd party apps working with it.